Ahh...season of mists and mellow fruitfulness...and more flattering clothing. 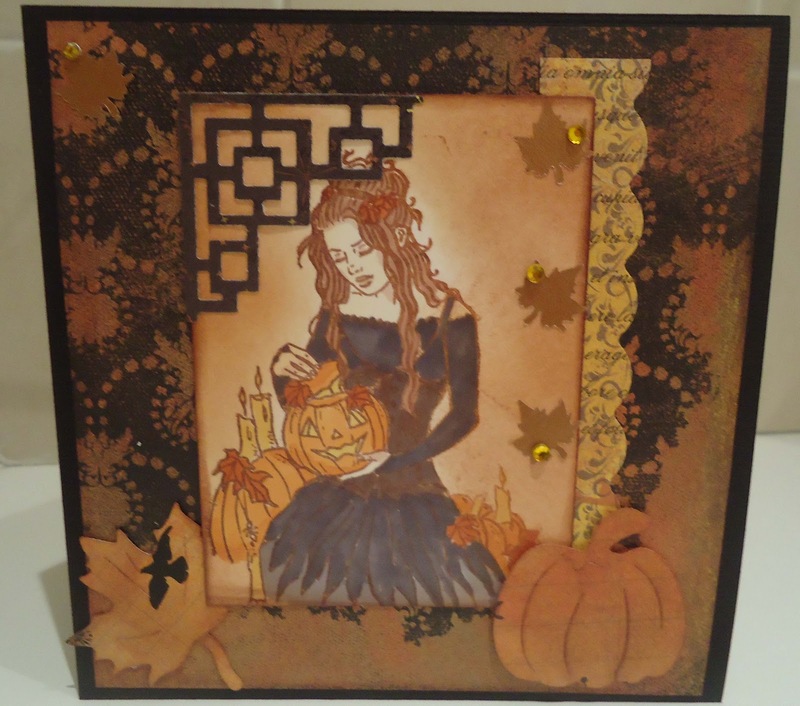 This card was made with rub-ons from October Afternoon and lots of scraps of card and paper. The only new item I used was my Martha Stewart ribbon threader punch, that I got for a bargain price from Ebay. The sentiment is a Little Claire stamp. This card is a my male friend who plays the piano. 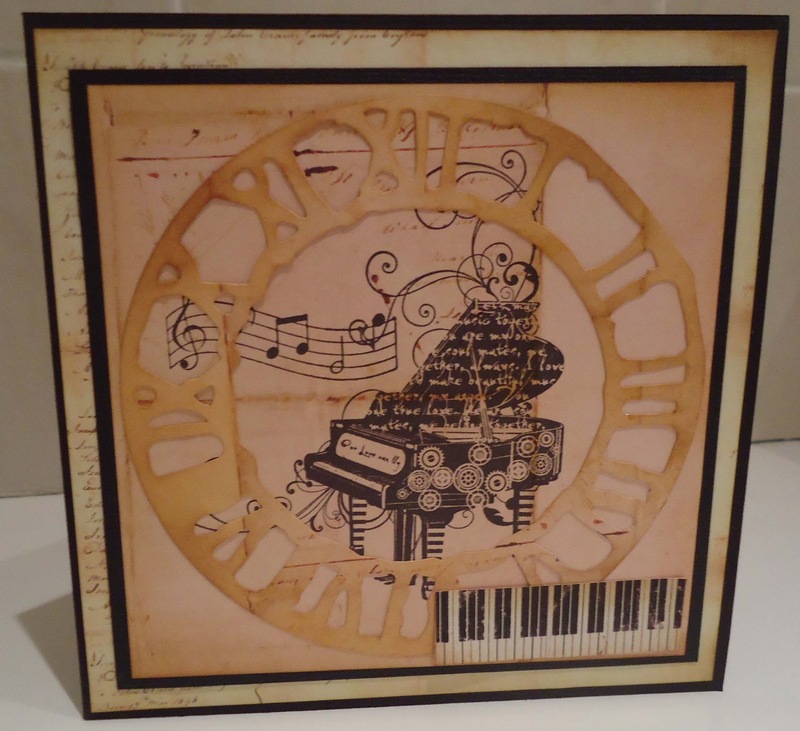 I didn't realise, until I came to write this post, that both the papers and the stamps (piano and music script) are by Prima - no wonder they went together well. Different ranges though, I think. 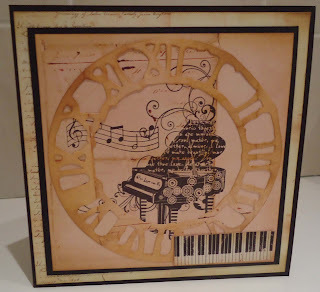 The clock die is Sizzix and I used lots of distress ink. This astronaut is free from Dearie Dolls. 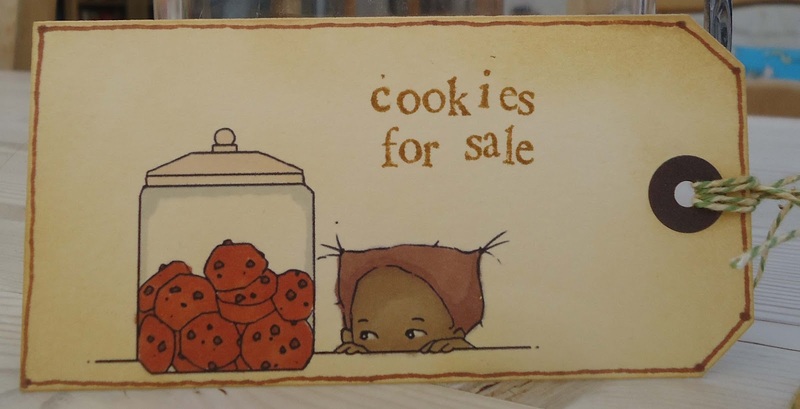 The free digis are drawn by the blog owner.I've tried to post a comment on the blog to thank her but there seems to be a complicated registration process that won't accept me (maybe I'm barred!) So, I'm hoping she might stumble across this message and find out what a big fan I am. 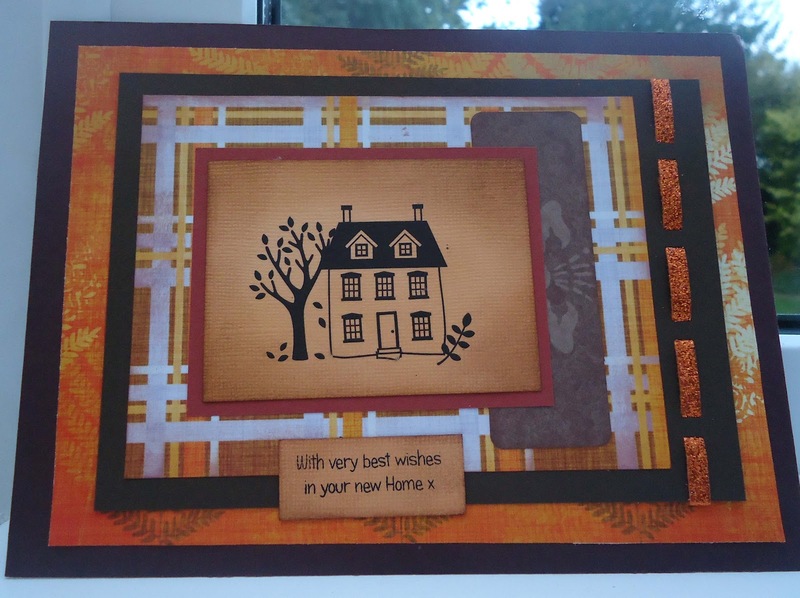 A simple card - I have some great embellishments but I play around with them a lot and then decide my card looks better without them! 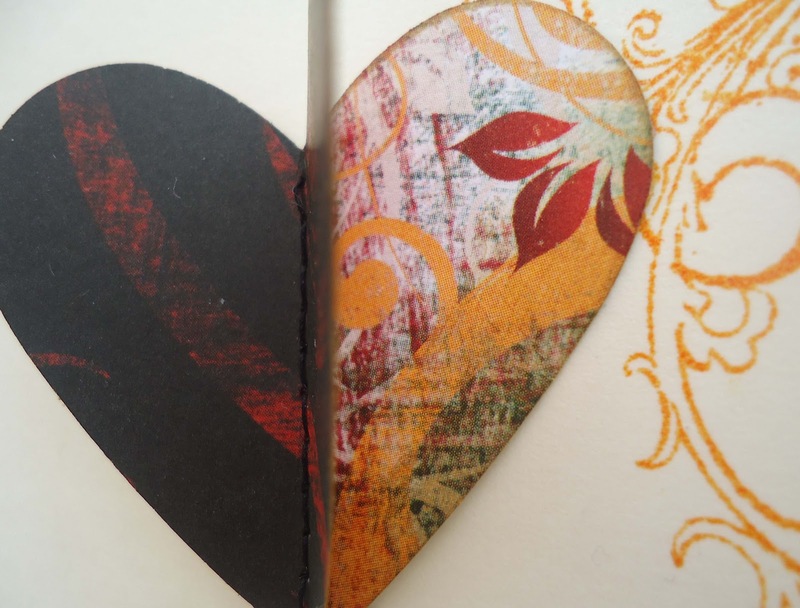 I do love paper-piecing though. The image is from A Day for Daisies. 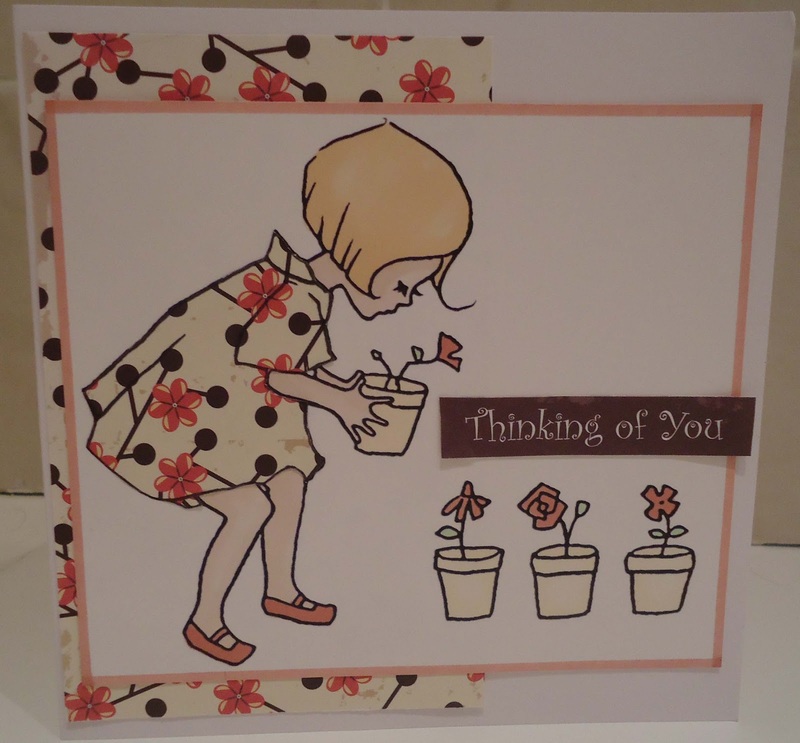 The patterned paper is by Nikki Sivils and the sentiment was on the reverse. (Another leftover from my local crop class kit). I used Promarkers to colour in. These lovely papers (including the ruler and words) are from Prima Almanac range and were scraps from my local crop class kit, that I wanted to use up. trouble is, I liked them so much I have now ordered more! 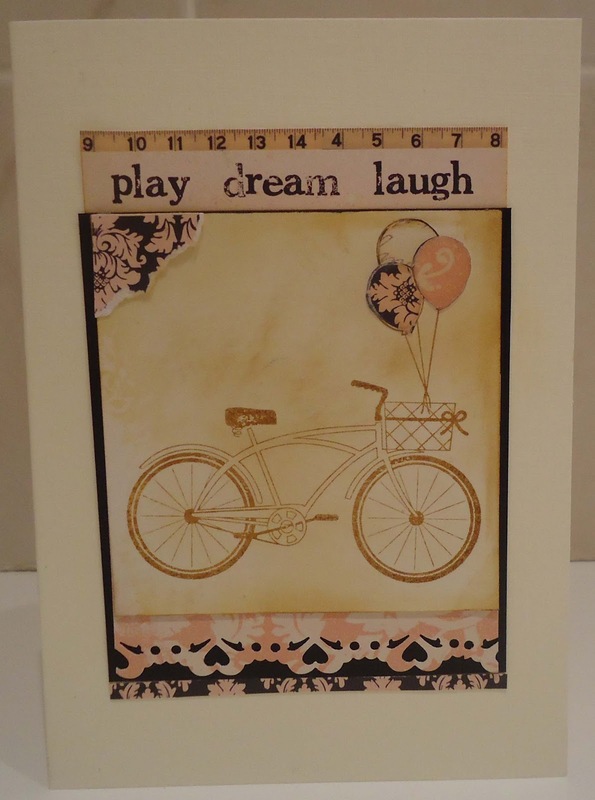 The bicycle and balloon stamps are by Stampin Up. I was visiting an entry on another challenge blog when I came across the blog of Deanne, of the design team for Pinspirational Challenges . 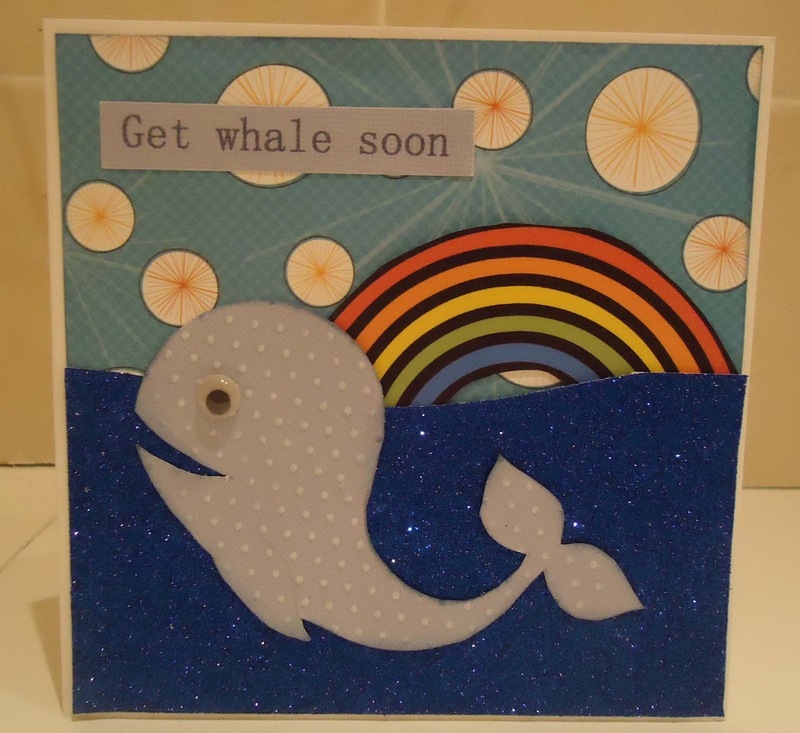 She'd made a great shaped card and even linked to a fantastic free whale digi from Bird's Cards. How could I not join in? 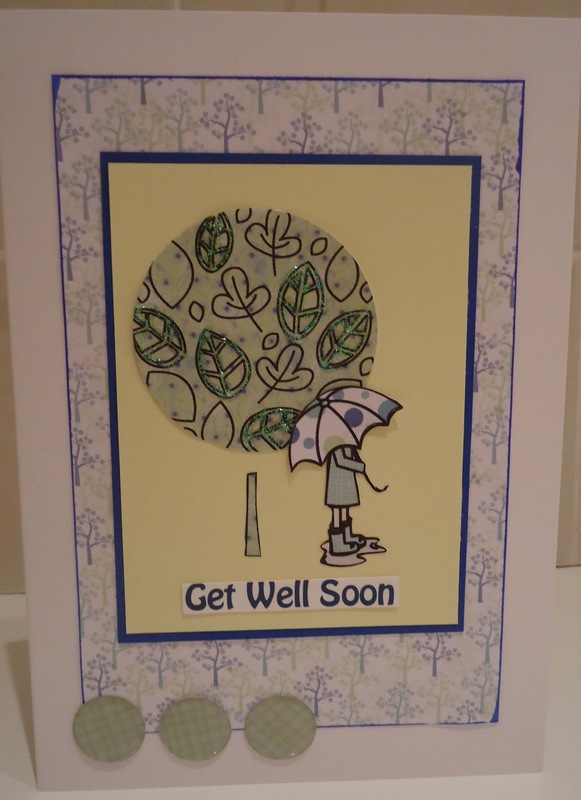 For this 'get well' card, I used the whale digi, cut from colour core card, embossed and sanded. I used a scrap of pattterned paper and a rainbow from a Funkyhand CD. I printed the sentimnet on my pc. 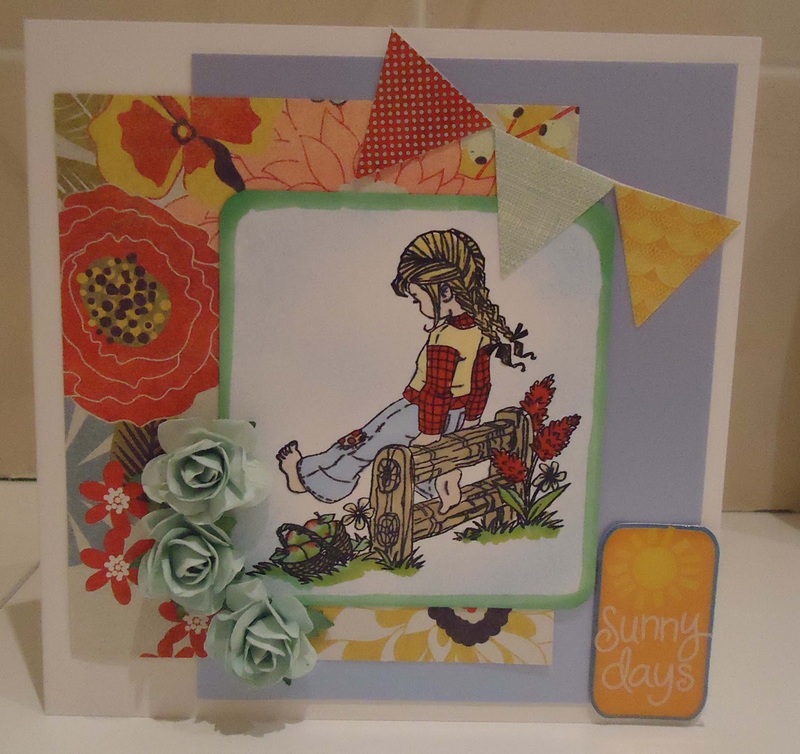 This week's challenge at CD Sunday is "Awash with flowers". I went through my CD collection looking for ideas and found this flower shop on the Docrafts Tulip CD. 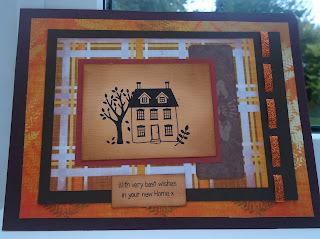 The window pane was originally part of a card blank. 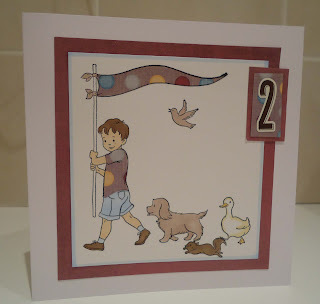 I tried printing the background paper directly onto the card but, of course, it turned out wonky, so I cut that bit out and stuck it over the picture with foam tape. 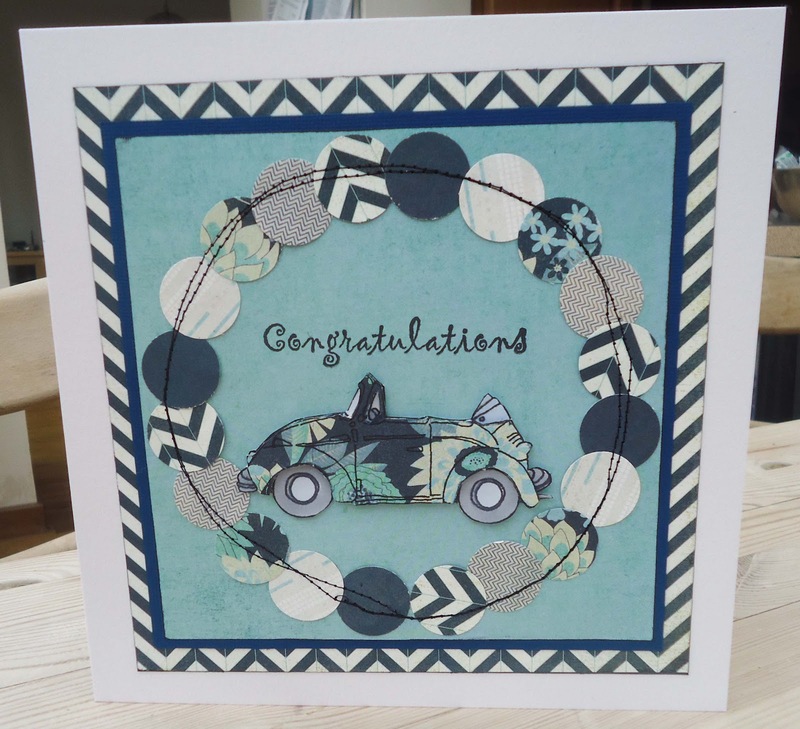 .. or , more accurately,'your car', because , after several attempts, my daughter has just passed her driving test. The car stamp is by Printworks and the papers are Basic Grey. I was lucky enough to be drawn as the winner of last week's Digital Tuesday Challenge and the prize was three digi- stamps from Spesch. This little elf was one of the stamps. He came onb a toadstool, but I decided to cut that off and perch him on a windfall pear. 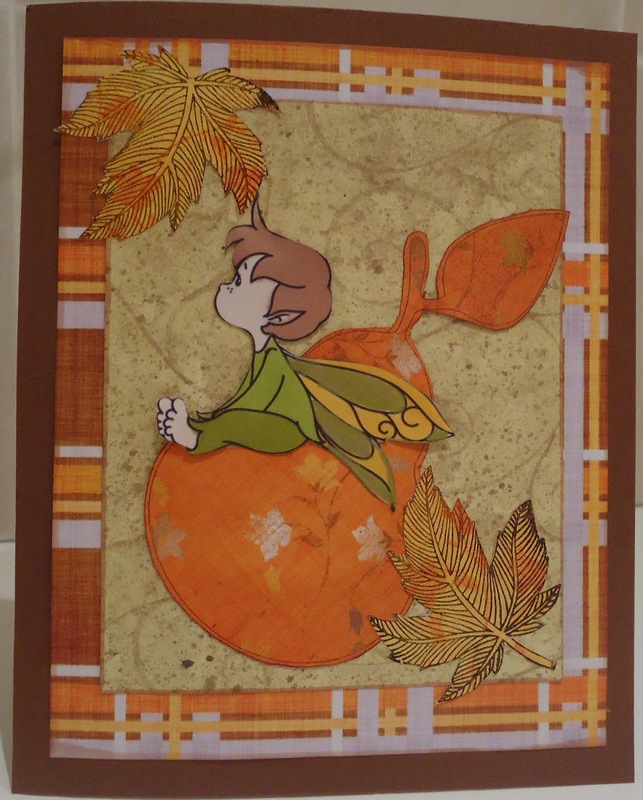 The pear, and the papers were all a magazine freebie from long ago and the leaves are a stamp by Stampin Up. Halloween projects in September??!! Oh, go on then. 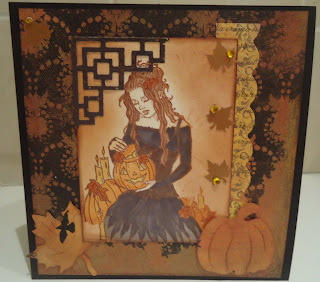 This rubber stamp by Sweet Pea Stamps has been sitting around waiting to be used and the Halloween challenge at Out of a Hat Creations was the push I needed. 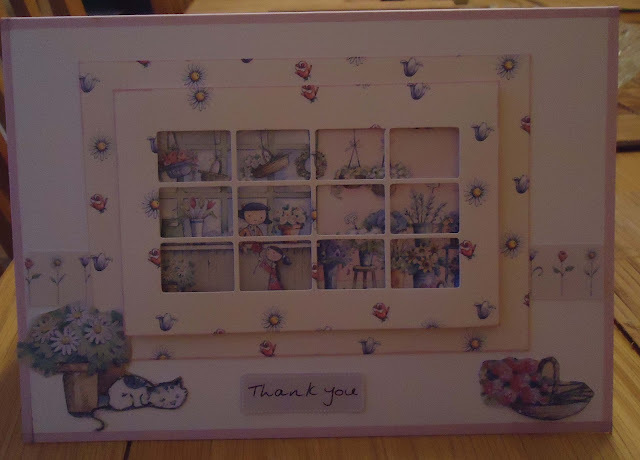 The backing paper is from a pack by Memory Box. 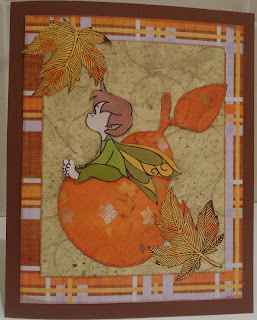 I've used 3 dies (corner,larger leaf and pumpkin) , and 2 punches (small leaf and border). This week, it's been dark when I've got up in the mornings and last night, I even had to put the heating on! So, I thought I'd take part in Deep Ocean Challenge Blog's challenge 'Goodbye Summer'. This stamp is by Belles and Whistles, and after seeing a picture of it somewhere, I searched for it on the net because it reminds me really strongly of motifs I had as a child in the 70s. Hate to say it, but I think the motifs were on my knickers! As well as Deep Ocean, I'd like to enter this for Craftroom Challenge Childhood Memories. I love to read some of the older versions of fairy tales as many of them were originally stories for adults. 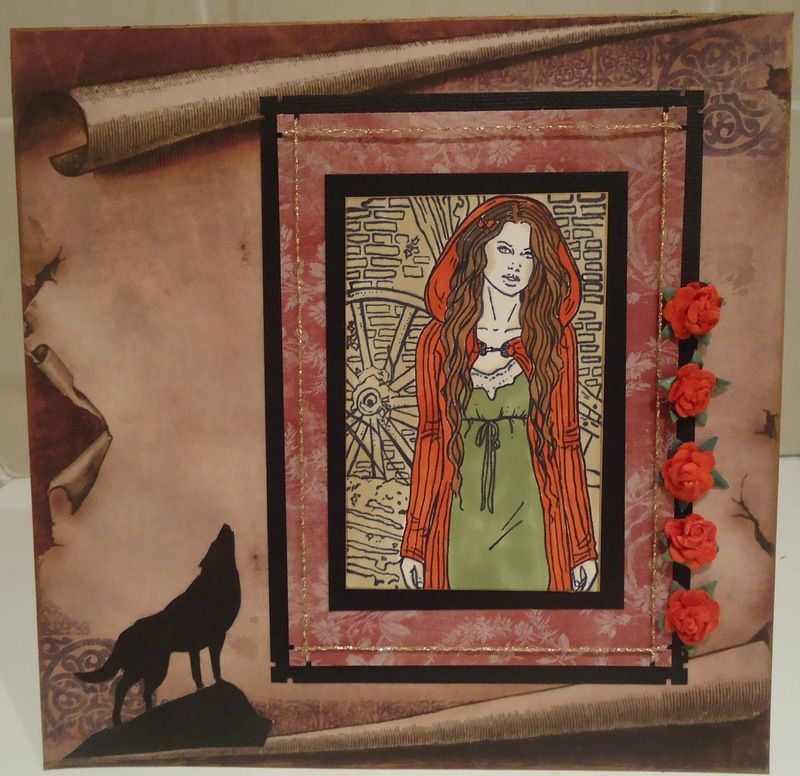 With that in mind, I've made a more mature Red Riding Hood with a slightly (I hope) gothic look, that's not found in the contemporary children's picture books. 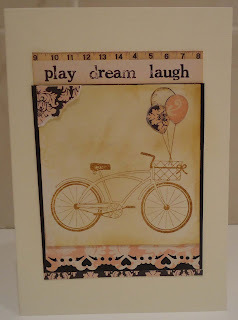 The rubber stampis Franceska from Sweet Pea Stamps. The wolf is clip art. I've used DCWV patterned paper and a notch corner punch. This weeks challenge at Cd Sunday is Feline Friends, and at Out of a Hat Creations , Oriental Influences. I thought it might be fun to merge these ideas into a card. 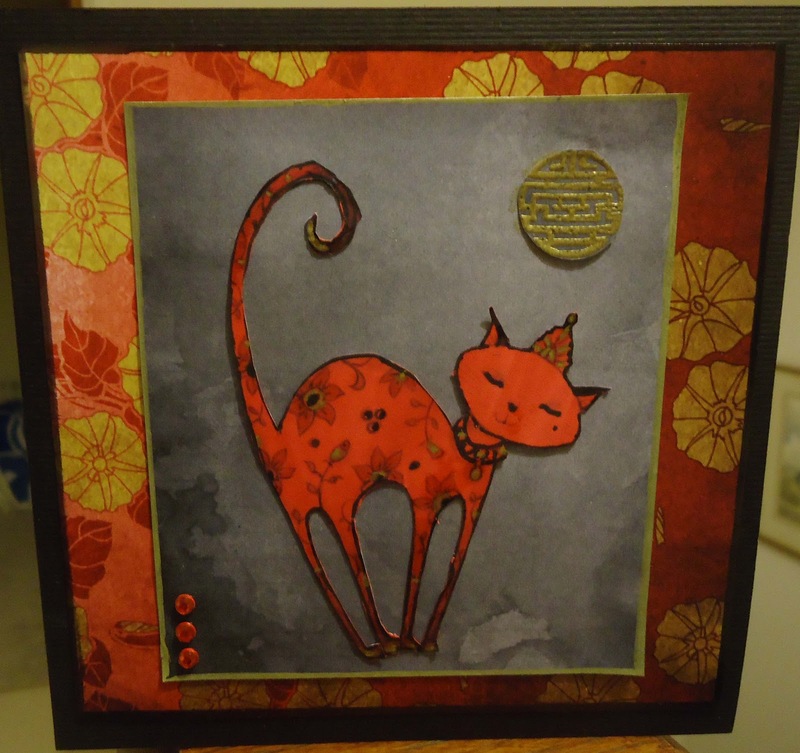 The cat is from DoCrafts Pampered Pets CD - I printed it in greyscale and coloured it in with red, black and gold Promarkers. The papers are from Debbi Moore Oriental CD . The coin thingy is a Bo Bunny acrylic stamp, embossed in gold. 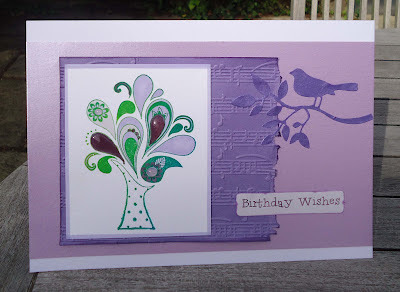 I love this tree stamp by Unity. 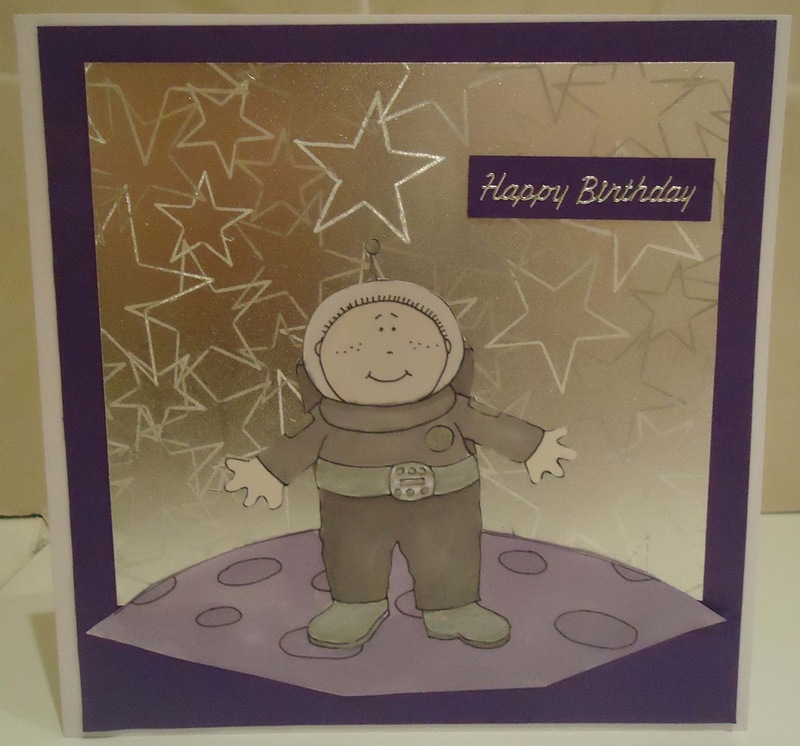 I stamped it in variagated green ink and coloured it in with various shades of purple/lilac alcohol pens. I highlighted some areas with Glossy Accents. 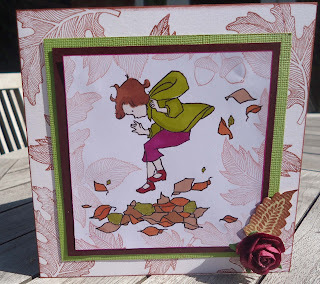 Other items used are a Sizzix embossing folder and Marianne die (bird). I've had such fun making this tag for my homemade cookies, that I've no time left to bake them! I printed the image (A Day for Daisies) onto a distress-inked luggage label and coloured with Promarkers. 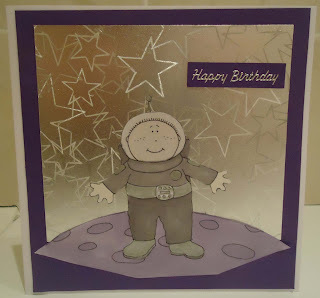 I drew a border round the tag and used Hero Arts letter stamps to stamp the words. ( Luckily , my skill level with letter stamps perfectly suited the childish theme! )I distressed some Bakers Twine and tied it on. I love Promarkers Whats Cooking! I'm not actually married to my partner and I don't remember the date we met , so the nearest we have to an anniversary is the day I moved in with him, 15th September, eight years ago. I made this card for him. 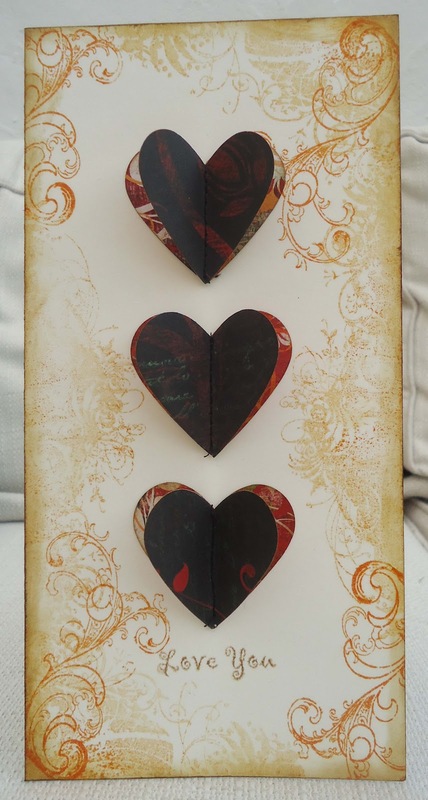 I punched six hearts out of some Bo Bunny double sided paper I've had for years and stiched them down the middle with a sewing machine. 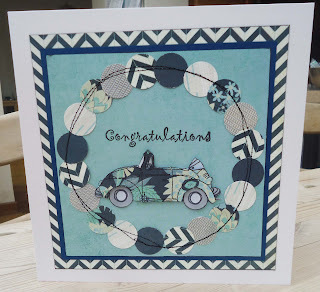 I stamped the card with my new favourite stamps - 'Flourish Edges' by Basic Grey. I won these at my local crop - what a prize! So, what do you think I received from my partner for our 'anniversary'? You guessed right!! Never mind. 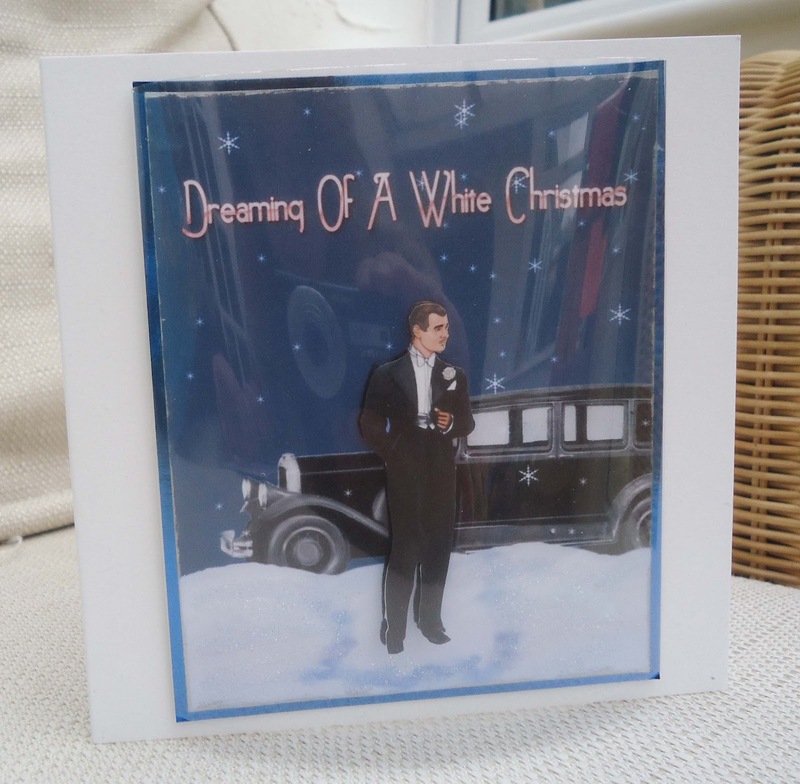 Imagine this suave gentleman, ‘speeding’ through the snowy landscape, to bring you a diamond for Christmas. I’ve had photography problems yet again. Can you spot me reflected in the acetate? Sadly, I don’t think you will be able to spot the generous coating of sparkle on the snow. This was a combination of two images and a sentiment from the Festive Deco Follies CD from My Craft Studio. I cut out an extra man and stuck him on with 3d foam. I added lots of glimmer dust to the snow and wrapped it all in acetate to create a dome front. I think I got this image from a free vintage images site - sorry can't remember which one. I coloured it with a yellow Promarker and decided to keep the rest black and white. 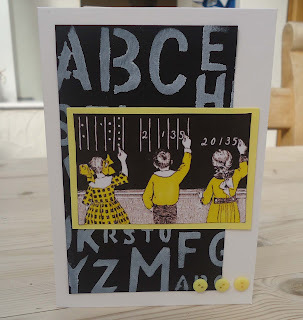 The alphabet stencil I used on the background is one of my latest purchases, it's by Dylusions. 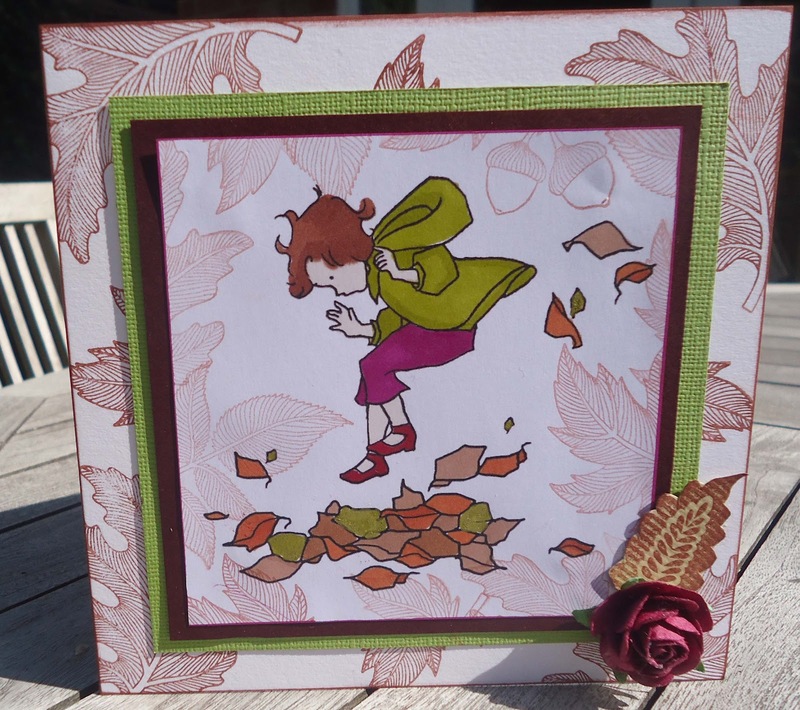 It's a glorious summer day in the south east of England but here is an autumn card! The main image is by A Day for Daisies. 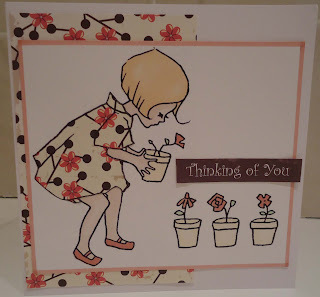 The stamped leaves are Stampin Up and the leaf used behind the flower is from a different set by Stampin Up. This week's chalenge at CD Sunday is 'Allsorts' , and it's sponsored by Funkyhand. I decided to use my Funkyhand 'Craft the Year Away' CD. 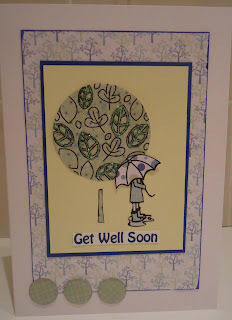 The tree and umbrella person are two images from the CD , as is all the patterned paper. I paperpieced the figure and added stickles to the tree. I had some blank epoxy stickers and stuck them to patterned paper and cut them out. I recently bought a stamp set, ‘Sidewalks’ by October Afternoon and I’ve already used it at least 3 times. One thing I like about it is that the little boy actually looks like my five year old son. This card is for my grandson’s second birthday and I think he’ll like seeing a card with his uncle leading the animals on a parade!